Editor’s note: This excerpt was taken from my review of The BPM Festival. I separated the posts to ensure readers understand they were two separate and independent events. Both were rad, both hold a special place in my heart. When talking to my “educated” friends about The BPM Festival, all of them said I had to go to Tulum – both for the sheer beauty and because of the pop-up parties. Many of these friends referenced Day Zero, the nearly 24-hour party put on by Crosstown Rebels and Damian Lazarus. When reading reviews of previous years’ parties, this seemed like something I couldn’t miss and possibly one of the most epic experiences I’d have all year. They weren’t wrong. About half our crew ventured to the Mayan jungles of Tulum at a secret location that had only been announced that day. The journey wasn’t short, as it took us 30 minutes by taxi plus an additional half hour of walking to finally find the entrance. It was dark, night was well underway, and every step we took was closer to a booming 4×4 beat. When we got inside, there was a sort of bazaar of different food and drink vendors, art installations, fire pits, and so much more. 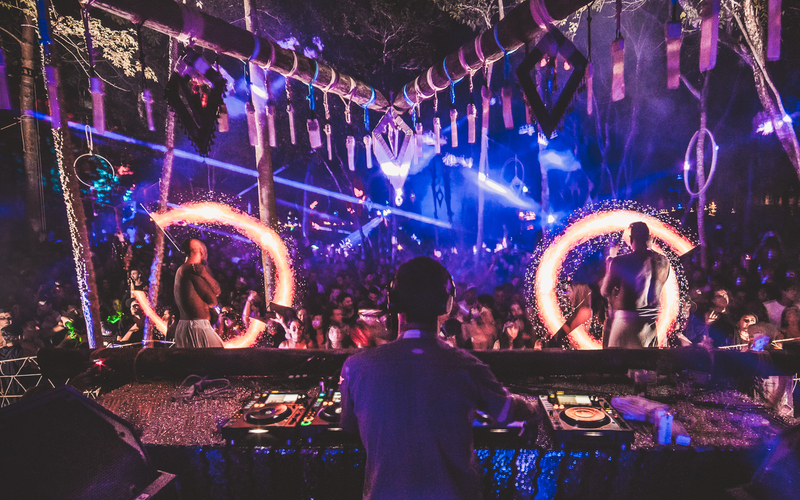 Once we acclimated ourselves to our new surroundings, and home for the next 12 hours, we walked through the trees toward the stage which was made out of natural wood and meant to resemble structures of Mayan past. The festival featured massive Funktion One speaker stacks that pounded your chest and took over your entire body. For those without ear plugs, I have no idea how you did it. We caught Ame and Mathew Jonson playing their versions of House, Techno, and Tribal. Along with the music there was a light show that took over the whole jungle (reminded me of Electric Forest), with coordinated dancers throughout the night (hulahoops, fire dancers, tribal dancers). For me, the main event was Dixon. I had never seen the German Techno veteran before but now I understand the reason Resident Advisor ranks him at the top of their list on a consistent basis. His version of Techno is so hard to describe and he did a great job of sprinkling in tribal tunes that were so mesmerizing it felt like a dream. Eventually Damian Lazarus took the stage to play his way into sunrise – a magical moment – and the day would end with Dixon and Damian playing b2b. It’s really hard coming up with words to describe my experience at Day Zero. It truly was an epic experience that I wish each and every one of my friends had the chance to experience. The booming music, the lights, the choreography, the magic of the jungle, all combined into one hell of an experience. Eventually we would make our way back to Playa in the afternoon to rest our souls for the night, but boy was that experience worth it. I hope the festival continues on somewhere in the world next year!